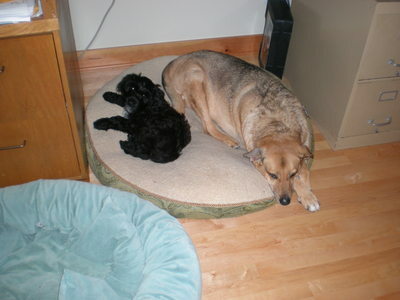 I have two dogs, a ten year old German Shepard mix mutt we found on the beach when she was 6 mos old, Freda and a brand new, 6 month old Portuguese Water Dog, Ruby Ree. Ruby is our second Portuguese Water Dog (PWD). They are a real handful and the perfect boat dog. Ruby has an iron gut and eats things off the beach that give her what I call “low tide” breath. We could consider it the good news that I started out watching Monday Night Football during Tuesday lunch, live on the Tongan side of the International Date Line. The scene was the Aquarium Caf, Neiafu, Vava’u with a brace of new friends. We could consider it the bad news that the score was 14-7 in favor of I-don’t-remember-who when the signal dorked out. 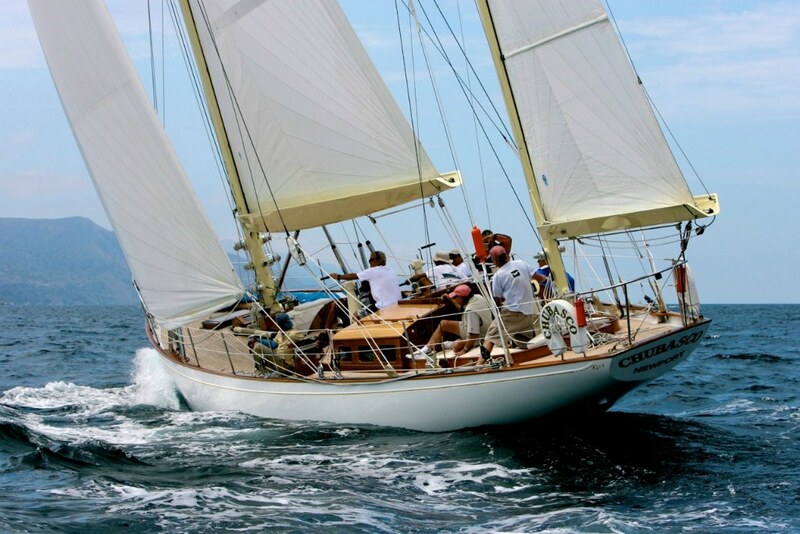 Unless applied to the S&S yawl Chubasco that helped shape the face of yachting as we know it on the California coast. South. North. Yonder to Honolulu. Chubasco was launched in 1939 and honored on Wednesday night with a modelbegun nearly half a century ago, completed at lastdonated to the Newport Harbor Yacht Club. The full-sized version has carried NHYC’s burgee, very well, since 1958. I was up, but hadn’t heard a thing. After a briefing I was in the car and off to Condesa at T minus 30 minutes. Condesa and I have been through four deadly tsunamis in the last six years, and we know the drill: Head for deep water! A few months ago I was in the middle of repainting Condesa’s decks and superstructure, re-varnishing everything, and getting myself in over my head. The saga began when I took friends out for the day on Condesa for a sort of bachelor party for John Caron. We anchored behind Angel Island, right off the ruins of the old quarantine station, and had a barbeque. It’s been almost a year since Condesa sailed outside the Golden Gate. About a month ago we made a short trip to Point Bonita, which is just outside, but we were swarmed by flies and beat a hasty retreat, so that doesn’t really count. This week we planned to properly get out on the high seas, with harnesses and jacklines, and make a lap around the South Farallon, which lies 28 miles west of San Francisco. It is known for being steep-sided and inhospitable, smelling of guano, and being home to lots of great white sharks. I’m scheduled to give three talks at the Strictly Sail boat show at Jack London Square in Oakland next week. You can click here for complete information. My gigs are Wednesday, April 15th at 6:00PM in Tent C; Friday, April 17th at 3:15 in Tent A; and Sunday, April 19th at 11:45 in Tent E.
I’ll be doing a slide show and regaling the crowd with fascinating anecdotes and invaluable information.